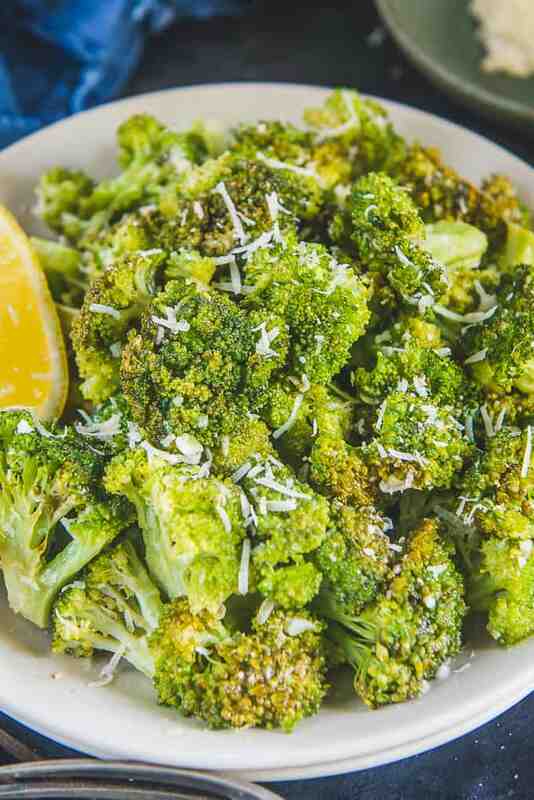 Parmesan Roasted Broccoli is an easy side dish to make with any meal. Coated with garlic, parmesan cheese, lemon juice, salt and pepper on it, this recipe hardly takes any effort or time to make. So, here is how to make Oven Roasted Broccoli with Parmesan Recipe (Step by Step). The best way to keep in shape is to eat many greens. And, that’s why I eat broccoli with lemon zest many times a week. Moreover, when roasting vegetables ain’t possible then making roasted broccoli is great for sure. Parmesan cheese makes it a whole lot better and furthermore, broccoli and drizzle of olive oil with parmesan tastes amazing. So, this dish HAD to be tried by me! On many days, with one pot chicken or mutton, I like serving a side dish. So, believe me, I can vouch for it when I say that Roasted Broccoli with Parmesan is another level great. It not only works as a filling meal in itself. But, it lets you have your daily dose of green under 20 minutes. Remember making a quick bake dish once? Well, this Roasted Broccoli with parmesan Cheese is of that sort as well! All you need is a few ingredients. Throw them with broccoli and parmesan on the baking sheet and you are sorted. Firstly, the flavours of this unique bake dish are very subtle and you would definitely love this broccoli side dish. Mainly, because the generous load of cheese and other seasonings make it irresistible. Too tired? Don’t want to make a full meal? Boil down to Roasted Broccoli Parmesan. As broccoli is baked with cheese and more, it gets caramelized. As a result, it creates a great aroma. Upon that, even the overall taste of the dish gets awesome because of the combination. Busy week? Quik side dish? This Parmesan Roasted Broccoli is all of that. There you go, note down its recipe and prep it up? 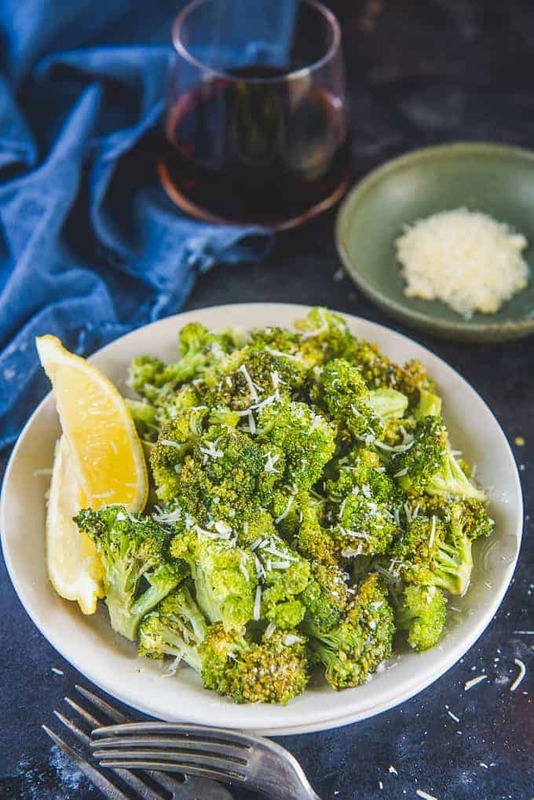 How to make Parmesan Roasted Broccoli with Breadcrumbs? 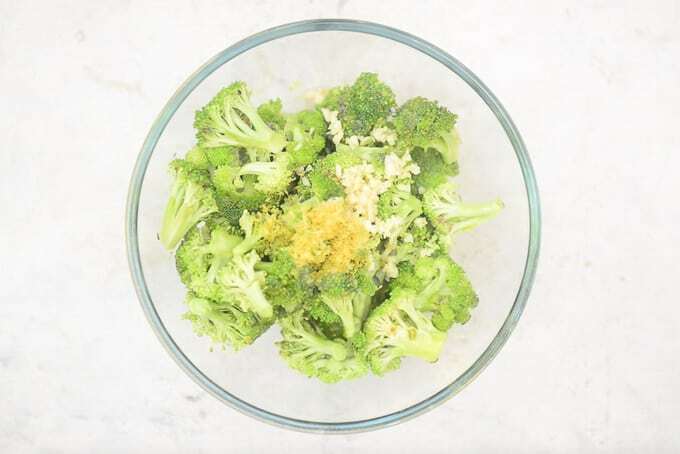 Sprinkling breadcrumbs while roasting the broccoli will make it even more crunchier and tasty. Just sprinkle 1/4 cup breadcrumbs over the broccoli along with parmesan cheese and bake as directed. It will give a nice crunch while biting on the broccoli. 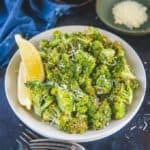 What to serve with Roasted Broccoli with Parmesan? This is a great side dish and can be served with any main course of your choice. I sometimes like to eat it on it’s own for lunch as it’s quite healthy and doubles up as a warm salad. How to make Roasted Garlic Parmesan Broccoli? Try to use fresh broccoli to make this dish as far as possible. If using frozen broccoli, you will have to increase the baking time to get rid of the excess moisture. 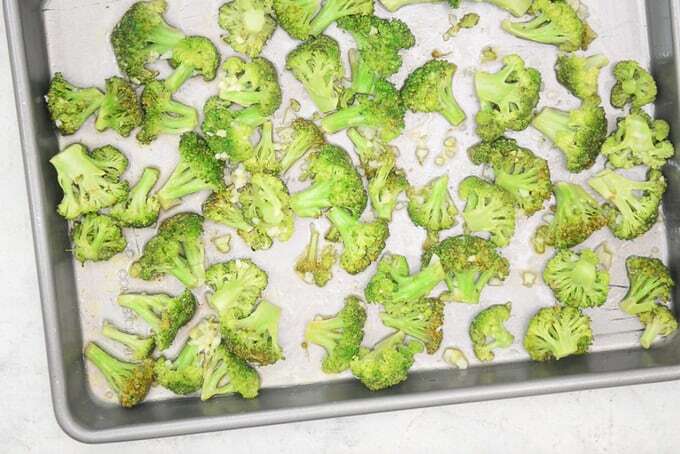 Cut the broccoli into even bite size pieces. Do not over crowd the baking sheet. 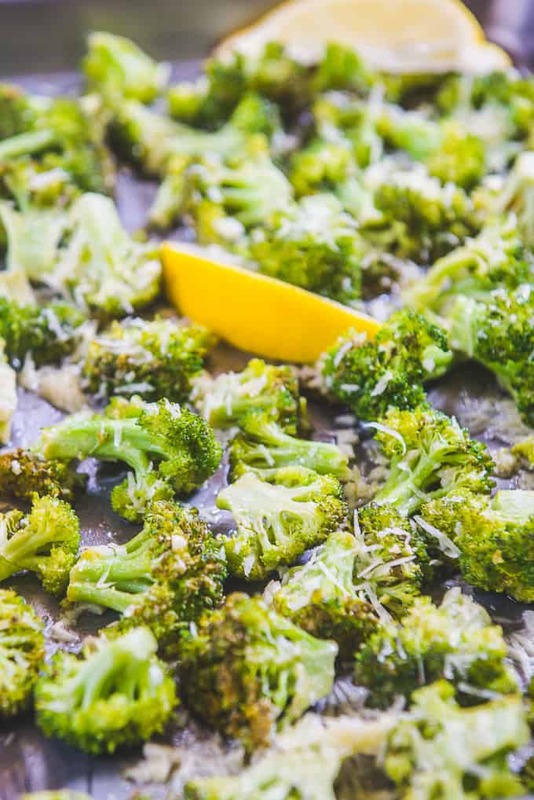 While roasting, broccoli will release steam and if there isn’t enough space for it to escape, it will make the broccoli soggy instead of crispy. If you want no cleaning business after cooking this recipe, just mix all the ingredients in a zip lock bag, line the tray with aluminium foil. Discard the zip lock bag and aluminium foil after baking and you have a clean kitchen with no traces of cooking after baking this recipe. However, to reduce the usage of plastic, I encourage to mix it up in a glass bowl and wash the bowl afterwards. 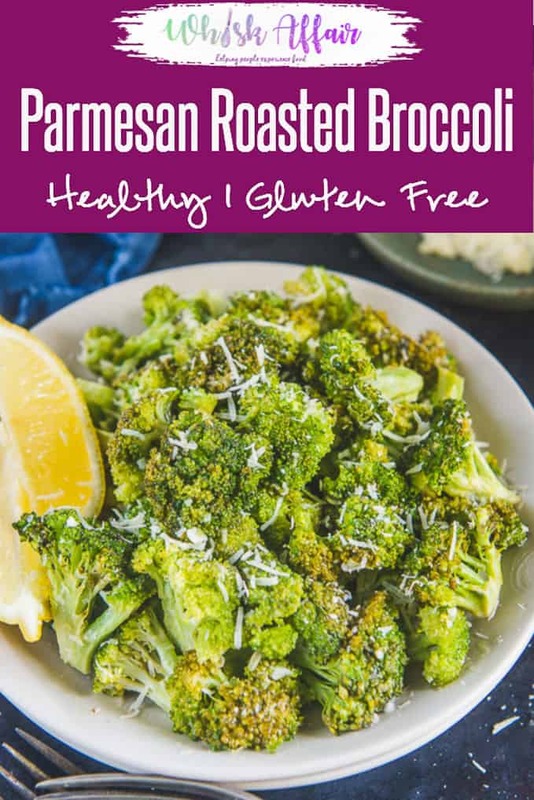 To make this roasted broccoli parmesan, mix the broccoli with the listed ingredients and line it up on a baking sheet. Bake and voila, you are done. It;s not even a recipe, right? I recommend roasting the broccoli at a slightly higher temperature as gives a nice crunch to the outer later. You can also add 1/4 cup breadcrumbs to the broccoli for added crunch. Increase or decrease the amount of garlic as per your liking. I like it garlicky hence more garlic. Bake for another 5-6 minutes after adding the cheese for a more caramelised taste. Add broccoli, olive oil, garlic, salt, lemon juice and lemon zest in a bowl and mix well. 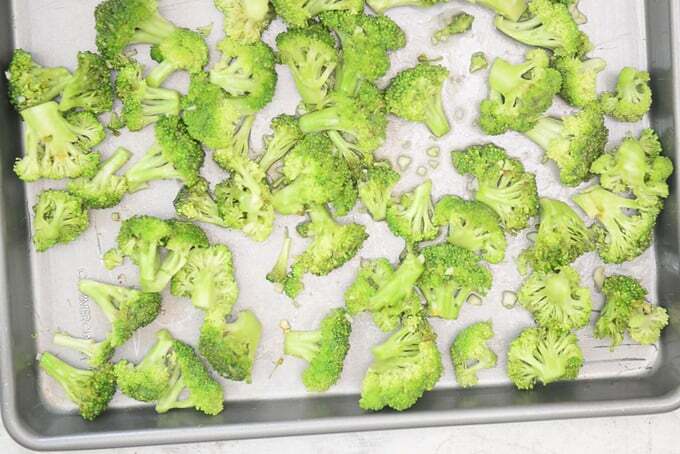 Transfer the broccoli on the baking sheet and spread evenly in a single layer. 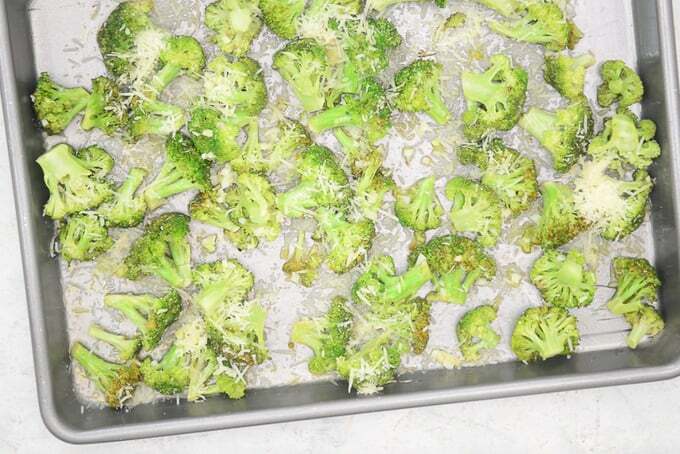 Remove the tray from the oven and sprinkle parmesan cheese on the broccoli. Pre heat the oven to 425 Degrees F (220 degrees C). Bake for another 5-6 minutes if you wish to, for extra crunch.